Is Your Church, Chapel, Sanctuary or Tabernacle Covered? Your focus is on your congregation, ministries, volunteers, Sunday school, bible study, after-school activities, and other ways you spread your mission throughout the community. And King Insurance thinks your focus should stay on what you do best. That's why our focus is to provide the right insurance coverage for churches throughout Florida. We know your community is depending on you, and why you can depend on us. While similar in organizational structure, churches have specific needs and liabilities which affect them differently from other entities that use commercial insurance. The team at King Insurance understands these needs and creates an insurance policy to handle any issue while you focus on the congregation and ministry. Contact us today for a free quote. Unfortunately, churches aren’t immune to computer hacking and data breaches. Modern church security measures need to account for sensitive financial and parishioner information, such as bank accounts, addresses, and other personally identifying details. Email spoofing is an example of a data breach perpetrated by hackers that can affect any church. Using the email addresses of leadership listed on the website, a hacker then creates a seemingly legitimate email account for a leader then contacts others, often asking for personal details and/or money. Any breach can affect your reputation and current and potential donors of whom help support an individual church. Workers and volunteers help carry out day-to-day operations along with ministry work. When someone is injured while carrying out church-related tasks, workers’ compensation supplements lost wages and medical expenses during treatment. A King Insurance agent can research state requirements and design a policy that sufficiently accounts for the needs of your parish. Mission work is an integral part of many churches and includes domestic work along with international work. Since individual health insurance plans limit you to in-network providers, travel medical coverage provides backup in the event someone on the trip needs medical attention out-of-network. Accident and emergency medical expenses are generally covered under this type of insurance for churches as short-term policies. Though unpleasant to think about, employee dishonesty is a common occurrence in congregations of all size. Fraud, forgery, and theft are three situations faced by churches every day. King Insurance can help protect against a financial crisis by bolstering existing church liability insurance policy with fidelity insurance coverage. This specific coverage protects against losses regarding financial accounts, donations, and other contributions, and sources of revenue, such as a church-sponsored daycare. Bazaars, fall festivals, and Easter egg hunts are three examples of special events held annually. 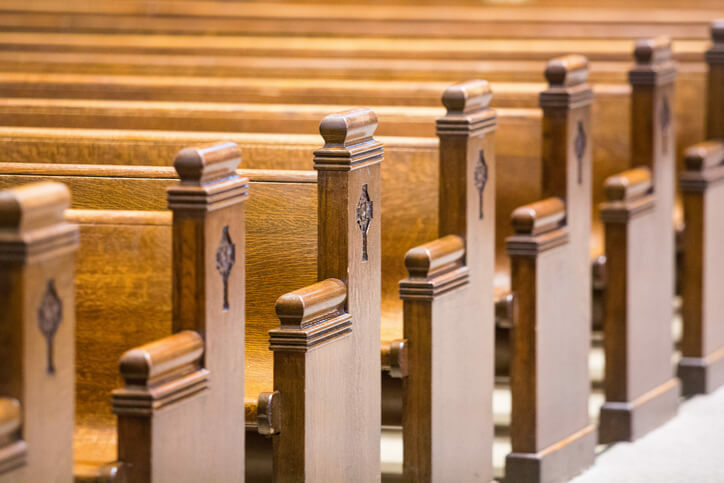 Congregants and guests alike mingle and celebrate, but, depending on the type of event, a general church insurance policy may not cover any liability or potential issues. Events held off the property usually need a special event policy to be added to the existing insurance. These policies can be on-going or one-day and generally include general liability, liquor liability, and property insurance. Activities and business are rarely limited to taking place at the structure itself. Inland marine coverage protects business property used off-site by members and volunteers while conducting official business. Inland Marine coverage protects audio/video equipment, laptops, musical instruments, tables, and other items commonly transported to and from locations, such as conferences and meetings. With this type of coverage, the church won’t be left scrambling to replace and/or repair equipment if an accident or theft occurs. Like other businesses, churches often have a board of directors who make decisions which affect day-to-day operations, such as setting an operating budget. But the individuals serving on the board may be personally subjected to legal action. Directors and officers insurance differs from general liability insurance and mitigates against lawsuits, such as a member or third party filing suit against the board or members after a budgetary decision is made. No matter the religious affiliation, King Insurance is ready to help your institution get coverage to keep the organization secure. If you are lacking in coverage, or are looking for an alternative to your current policy, contact King Insurance today.